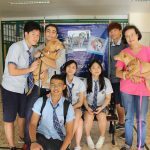 Welcome to Wells International School! A branch of EverClever Education Group, Ltd., Wells offers an American and IB university-preparatory curriculum to children from kindergarten to high school. 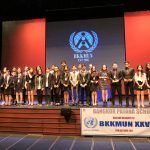 Comprising three campuses in central Bangkok, it has expanded rapidly since its founding in 1999 and now serves over 750 students who represent over two dozen nationalities. 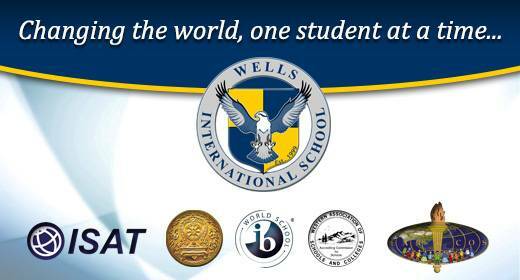 Wells is licensed by the Thai Ministry of Education, has been accredited by the Western Association of Schools and Colleges (WASC) since 2009, and is a member of the International Schools Association of Thailand (ISAT) and East Asia Regional Council of Schools (EARCOS). Please peruse our school profile, seen below, and feel free to contact us with any inquiries.